However, I do not hate this movie like I hate Man of Steel or, most recently, Deadpool. It’s just a bad movie rather than being unbearable, and we definitely do get some interesting sequences in the first half after the opening “ICYMI about Batman’s parents”. I think looking at the two superheroes’ perspectives and their symbolic relevance–especially in the post-9/11 type environment the movie intentionally explores–is a fine jumping off point, but those big themes fall by the wayside when the script ends up including almost every possible subplot known to man. It’s also hard to take said Serious Movie seriously when it takes a page out of the Inarritu handbook and throws some unnecessary dream sequences into the mix. I’m completely fine with superhero movies taking on a dark tone, but that does not shield one from the pitfalls of trying too hard. Overall, “unnecessary” would be a good word to describe a lot of the movie, most notably in reference to Gal Gadot’s Wonder Woman. She’s fun at times, but the inclusion of her character takes away from the already boring–but could potentially be less boring and more interesting with more time and better writers–Superman vs. Batman clash. Cavill and Affleck are solid, though, which is a plus, and Jesse Eisenberg periodically helps viewers remember what movie they’re watching by saying revelatory things like “Bruce Wayne meets Clark Kent!” This highly caffeinated, power hungry douchebag spends the entire movie ruminating about God and then says those things he thinks about because apparently it’s deep? Eisenberg tries so hard to give a show-stealing performance that he forgets about giving a good one, and the way his story intersects with the main conflict simply results in a jumbled mess. This isn’t a terrible movie, but it alternates between being mildly entertaining and vapid, and I dislike that I made myself watch it. However, I will always be grateful for the wonderful lesson imparted to all of us: if you’re ever in a conflict, pray to Martha and She shall shine her light upon thee. Loved the post, Polarbears. Average to me as well. A drag in places, but I would be lying if I said I didn’t like some of the performances and even the action. 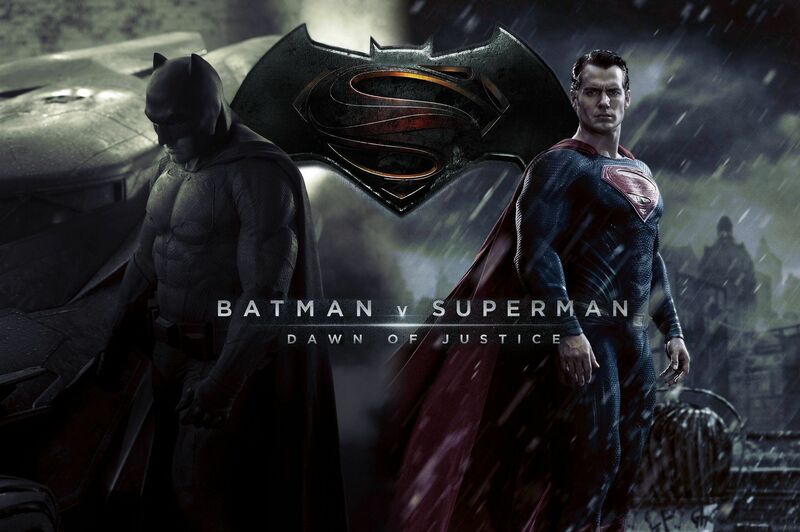 Ultimately, I think it does get the Batman V Superman part very right. I loved it. I have found that a lot of reviewers of this film are rather petty in their point of view but I did not feel that at all reading what you thought PB. I have been a DC fan for a long time and for me it was an up to date rendering of the characters who I love, also the bliss of finally seeing Wonder Woman on the big screen and portrayed well (pre NU52 jankery aside) made me very happy! I am stoked for her stand alone film! As for Amy Adams I did not think she was wasted at all and I highly doubt she is the type of person who would take a role that she did not feel comfortable or that she could bring off. Amy is a stellar Lois Lane, and for me that is something because I have always disliked the character and how she has been portrayed in past films and tv. I’m really glad you enjoyed it! I’m looking forward to future movies for sure, Suicide Squad looks like a lot of fun. Also, I’m glad you thought that about Amy Adams as Lois. I think we can agree that she is a phenomenal actress. 🙂 Thanks for stopping by! Good review. I am glad to read more reviews that don’t just pile more hate on this movie. I feel a need to defend it even though I didn’t love it – because while it wasn’t great, it’s also not horrible. It’s just an average superhero movie with some good moments and some big flaws.